A trophy fit for heroes. These magnificent trophy cups epitomise excellence in every way. 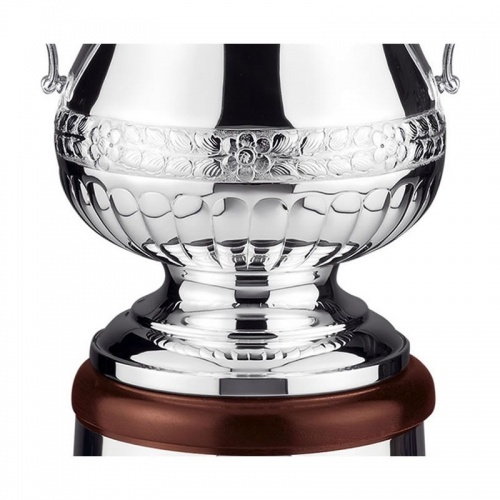 Standing an imposing 18.25in (460mm) tall, they include an elegant trophy lid and sit on a circular mahogany base with silver plated plinthband. The body of the trophy cup features handchased decoration and a fluted base, and has the same shape as the English F.A. Cup. Hand chasing is a traditional and highly skilled decorative craft that ensures that every hand chased item is completely unique. 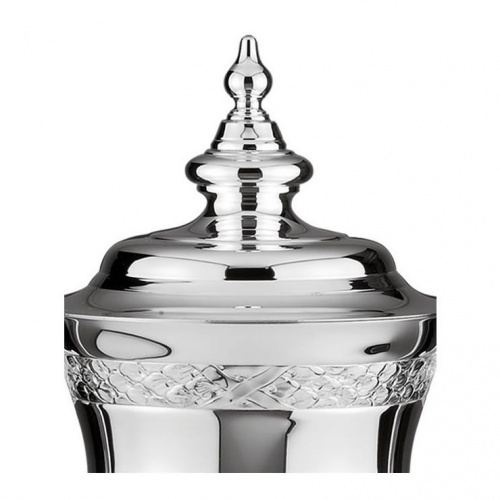 These superb Heroes Cup trophies are hand made in Britain and supplied with a lifetime warranty. 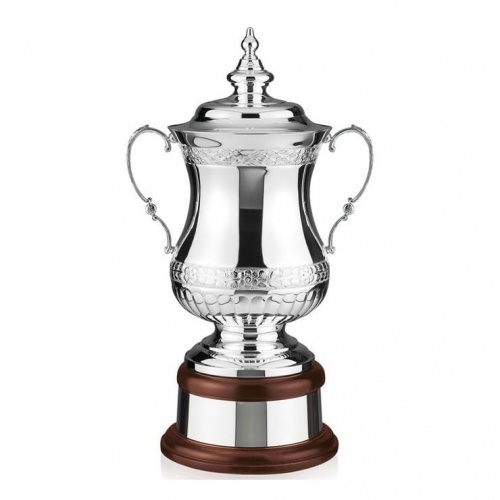 They are offered with engraving options on the trophy body and/or plinthband, along with low fixed price UK delivery.